Have you ever awoken one day and thought, ugh! everything in my body seems off? My joints hurt, my muscles ache, my back and neck are stiff, I have no energy…the list goes on! Have no fear, there are options for helping your whole body heal and achieve a natural balance. Sometimes we have to call the doctor and are prescribed medicines, treatments, or even surgery depending on the severity of the condition. But not all bodily ailments are the same, and for you, trying other more holistic & natural approaches might be the best option. And now you’re asking, what exactly is it that’s off in my body? And how can it be corrected without medicine & surgery? Below we discuss a unique option: It has been acknowledged for centuries in traditional Chinese and Japanese philosophy. It’s known as Chi. How Will It Help Your Back? Are There Benefits of Using a Chi Machine for Women Post Pregnancy? Is a Chi Machine Safe for Children? When your life force is misaligned, your whole body responds with pain, fatigue, lack of sleep, and overall sense of being unwell. Part of traditional Chinese philosophy and medicine focuses on harnessing, embracing, & aligning chi in the body. The basic principle is that if your chi is unbalanced, it will negatively affect your physical, mental, and emotional well being. So how do you align or realign your chi? Chi Machines: These innovative machines use simple swinging motions of the feet and lower legs to realign the spine and re-balance your body & chi. We will take an in-depth look at these machines below. 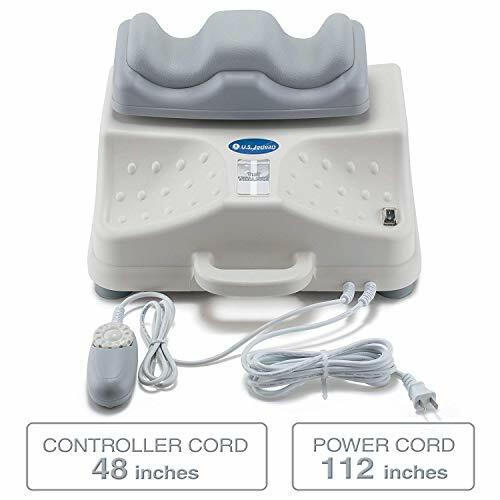 Circulation Boosters: Circulation machines are available for both feet and legs, stimulating your circulation by vibration and/or massaging pulses, by releasing tension of specific pressure points. This causes the muscles to contact and relax, restoring circulation throughout your body. Cervical Traction Devices: These devices come in various forms. They all help by stretching the neck, relaxing the muscles, as well as realigning your cervical vertebrae by taking pressure off of pinched nerves and blood vessels. Inversion Tables: Inversion tables are another form of stretching, realigning, and relaxation. They work on the principle of getting more blood flow to your brain, thus rejuvenating and restoring circulation throughout your body. TENS Units: TENS (Transcutaneous Electrical Nerve Stimulation) units are a form of non-invasive electrical stimulation which delivers low-voltage pulses to the skin, stimulating your nerve fibers. This process helps to block the pain from the nerves, allowing your muscles to relax, and your body to naturally balance. The Original Sun Ancon Chi Machine was created and designed by Japanese scientist Dr. Inoue in 1990. He based the motion of the machine on the ancient Japanese exercise Kinyo Undo, also known as the Goldfish exercise. By simply laying on a flat surface, such as the floor or a firm bed, you slowly stretch and relax. Then you begin quickly wiggling your body in a wave-like motion starting with the feet, much as a fish would do while swimming. This unique but simple exercise uses the body’s own movement to improve blood circulation, which in turn helps the body’s nervous system align itself. As the body adjusts, the flow of chi increases and balance is achieved. But what Dr. Inoue realized was that not everyone was, or is, able to lay on the ground due to physical limitations, age, or infirmity. He wondered if there was a way that everyone could benefit from the healing properties of this type of exercise, no matter what their physical status. And thus the Chi Machine was born. The workings of a chi machine are really quite simple. By resting on the floor or a firm surface, you simply lay back, slip your feet/ankles into the cradle, and let the machine swing your body with its swaying wave motion. This provides you with a full aerobic exercise without taxing the body, which means that virtually anyone can use it! As with other medical/health machines, there are many beneficial aspects to using a chi machine. So, let’s take a look at some of the top chi machines on the market! There is only one original Sun Ancon Chi Machine, but there are others of similar design that provide the same benefits with a slightly lower price. This means there are multiple options to fit anyone’s budget. Some of the less expensive products might not function quite as well as the premium ones. If you do pick the high end products the benefits are well worth the investment. The top rated chi machine is the Original Sun Ancon Chi Machine. As this was the device created by Dr. Inoue, it is set up to give you the best possible results. The machine is set with only one speed, at 140-145 oscillations per minute, which is the precise calculation that Dr. Inoue found provides the best spinal and chi alignment. This machine can be used by anyone, from 4 to 100 years old! Depending on the age of the person and their physical condition, the amount of treatment time should be adjusted. It is suggested that you begin with 1-2 minutes, especially for the young and elderly, slowly increasing the time to longer sessions, the maximum being 15-20 minutes. If you experience any discomfort, simply use it for shorter times. Using a chi machine on a daily basis will continue to improve your overall health by maintaining your balanced chi! One of the top rated chi machines is the Chi Vitalizer Machine manufactured by U.S. Jaclean. Unlike the original Sun Ancon machine, the Chi Vitalizer has more than one speed setting, which allows for a more personalized treatment. Because of the variable speeds, you can customize your usage and modify both speed & time as needed. Monitor your speed and time with your progress and slowly increase both until you find the best comfort level for yourself. Another top selling chi swing is the Daiwa Felicity Deluxe Chi Swing Machine. This machine is, in fact, the same machine as the Chi Vitalizer, but is sold by Daiwa. Because it is sold by a different vendor, the price is slightly lower than the one sold by U.S. Jaclean. As marketed, the Daiwa Deluxe Chi Machine creates a wave-like motion that moves up the legs and spine, which provides a source of passive aerobic exercise. This in turn will help to realign the spine, relax muscles, reduce stress, increase energy levels, and improve sleep. The next model down on the U.S. Jaclean and Daiwa product line is the Daiwa Felicity Original Chi Swing Master. As with the other chi machines, this product will help correct spinal alignment, improve energy, and help restore chi throughout the body. When used on a daily basis, you will find your chi is consistently restored & balanced. Rounding out our list of highly ranked chi machines is the Sunpentown Health Swing Machine. This chi machine is the lowest priced on the list, but still does well in terms of benefits. 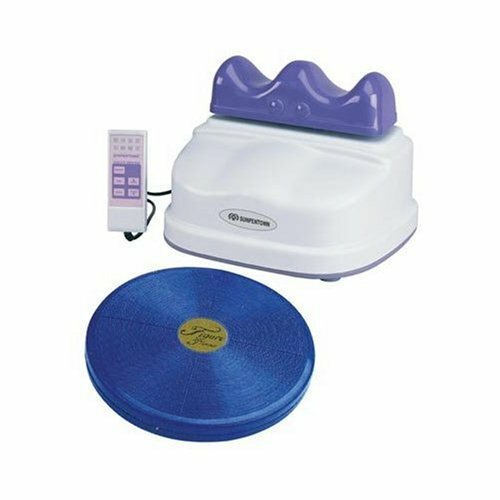 This machine also comes with a swivel disc for the lower back to help increase the flow of energy and chi, as the machine moves in the Goldfish motion. Though the machine wasn’t originally designed or marketed as a weight loss machine, many people have found this to be an added benefit as documented in a number of Australian clinical trials. As the machine swings the body, the physical motion releases energy which increases circulation, promoting oxygenation of the blood. Since this motion is a form of physical activity, your body weight may decrease and you may also experience toning and firming of your muscles, including your waist, thighs, hips & abs. The swaying motion of a chi machine actually helps to realign your spine by relaxing the muscles all along your back. As your body is gently stimulated, your nervous system responds and naturally starts healing itself, and balancing your chi. With corrected spinal alignment, you will have decreased back & neck pain, increased energy, with overall improvement both physically & mentally. If you’re a new mother, you’re probably aware that your post pregnancy body develops aches and pains associated with child birth. During a typical delivery process, your spine is taxed, muscles are used in ways they aren’t used to, blood flow is altered and energy is severely depleted. Ask anyone who’s had a baby and they’ll tell you what they really want and need is deep sleep and a nice massage! By using a chi machine on a regular basis, the passive aerobic exercise may help relieve & relax muscle pain while your body returns to a normal balance. Absolutely! As children are always on the go, growing, and changing, their spines get extra usage. Studies have shown that kids greatly benefit from chi balancing practices as well. 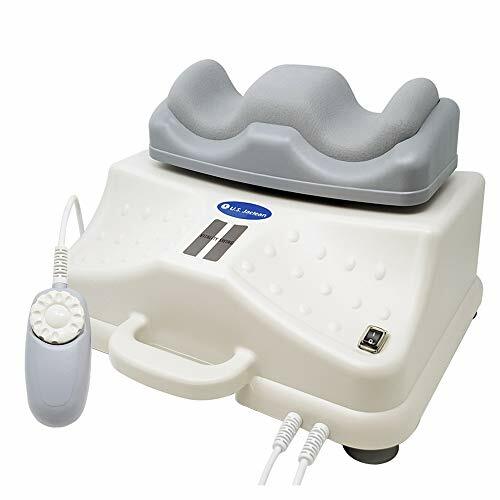 By using the chi machine for 4-6 minutes, a child’s body can be relaxed, calmed, and more focused. And unlike the use of medications or invasive procedures, a chi machine provides a natural balance to a child’s ever changing body. One of the questions you should always ask when dealing with medical treatments and devices is whether there areany negative side effects. The chi machine is known for being a non-invasive, non-impact form of passive aerobic exercise. It also provides benefits of massage, spinal realignment and increased energy. The most common negative side effect is soreness around the ankles where the body touches the machine. Occasionally it has also been reported to cause more pain in the lower back. However this can be corrected by using the machine correctly, at the right frequency and for the right amount of time. 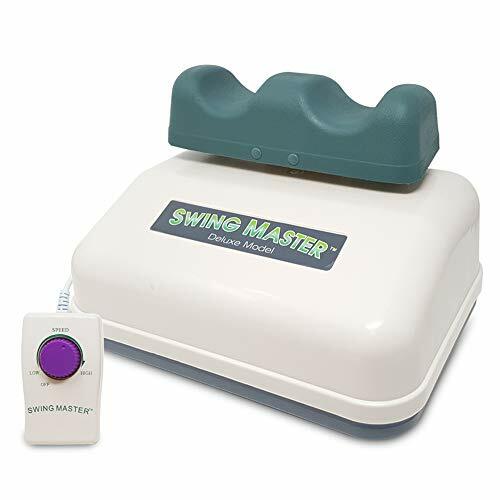 One of the biggest differences between the Chi Vitalizer/Deluxe machine and the Swing Master, other than the price, lies primarily in the power unit. The Vitalizer has a 40W motor while the Swing Master motor tops at 15W. The stronger the motor, the more consistent power will be transferred to the foot cradle. And the durability of the larger motor is usually greater than the smaller powered motor. But the overall benefits compared to the price make the Swing Master machine definitely one to keep in mind. Everyone can benefit from a healthy balance to their life. Through the use of various techniques and technologies, your body & your chi can be realigned and now you know how to make it work for you. In our opinion the top ranked chi machine is the Original Sun Ancon Chi Machine because of the specific & targeted oscillation speed for optimum results. It’s the highest priced but for guaranteed top results it’s worth it. Next on the list are the Chi Vitalizer Machine and the Daiwa Felicity Deluxe Chi Machine. These two machines are exactly the same, just sold by different vendors at slightly different prices. TheChi Vitalizer is slightly higher priced than the Daiwa Deluxe machine, but since the features are the same, it comes down to which seller and warranty works best for you. 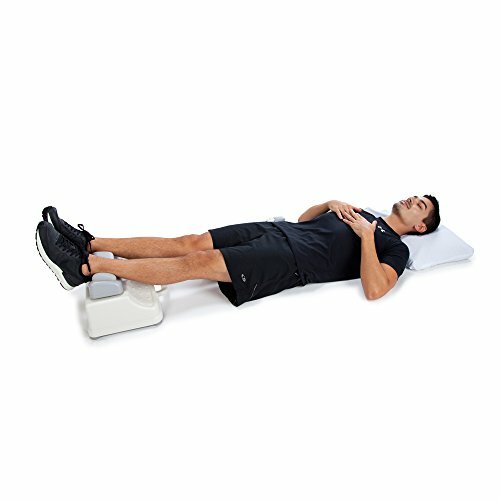 Using a chi machine to help realign your spine may allow your whole body and chi to balance. And thankfully there are multiple products at varying prices, so you can find the right machine for your budget. Is budget your biggest concern? To get the most bang for your buck, the Chi Vitalizer/Daiwa Deluxe is the way to go. You’ll enjoy all of the great benefits of a high quality chi machine that is friendlier on your wallet. Just remember that what’s good for your budget might not always be best for actual machine function, quality, and results. Do you research so you buy the best option the first time and don’t have to waste money on a second purchase later on. No matter what you decide to go with, here’s to a happier, healthier chi-balanced you! Disclaimer: None of the information or reviews in this article is intended as individual medical advice and has not been reviewed by the Food and Drug Administration. As always, contact your doctor if you have any medical issues or symptoms before using a chi machine or other medical equipment.